A great convergence of interest on DevOps is sweeping the IT arena. In the hosted world, both corporate IT enterprises and Independent Software Vendors are working on new ways to rapidly move all the code, scripts, databases, and graphics for a new system into production. Based in Alpharetta, GA, Object-Frontier Software is leveraging their expertise of two decades in software product engineering by focusing on the various DevOps tools used for the automation of provisioning, configuration, build, test, deployment and monitoring of software systems. 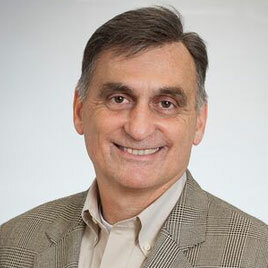 “We offer services to help companies make the transition to a streamlined DevOps model that eliminates the bottleneck that often occurs when the code that was developed and tested quickly to meet a market need cannot be as quickly moved into production because of various roadblocks,” says Rich Napoli, CEO, ObjectFrontier Software (OFS). Right from provisioning the first development environment, using various open-source build tools, OFS helps companies quickly automate the continuous build and integration of the software. The hand holding approach continues to the automation of unit and acceptance testing and onward to initial production deployment. In their quest for innovations in software, OFS as the name suggests has positioned itself on the frontier of new thinking to constantly examine new technologies to assess and understand its impact on customers. As part of the larger trend in digital transformation, OFS focuses on building engaging, intuitive, and responsive mobile apps that drive revenues for their clients by allowing their end customers conduct all their businesses on their mobile devices. Yet another concept that OFS has adopted is the introduction of gaming elements into non-game situations. “We made the job of a call center representative more entertaining by creating points, badges, levels, competitions, and leaderboards for the reps as they answered calls throughout the day,” says Napoli. As the next trend in customer engagement, OFS is focusing on wearable devices to understand the customer better. OFS’ long legacy of commercial product development helps to design software that are innovative, compelling, scalable, and that serves an entire market, not just a single customer. As companies embark on their digital transformation efforts, they’re looking for help in using the SMAC stack as a set of technologies to engage their customers in new ways. “We specialize in building these digital products on behalf of our customers to enable them to completely transform and propel their business and their relationship with their clients,” says Napoli. For instance, a global broadcasting company needed help in their coverage of the PGA golf championship—a new innovative way to attract and keep viewers of the golf tournament’s coverage on air. “We designed and built a specialized, smartTV app, that downloads to viewers’ TV and lets them use their remote to not only see Tiger Woods tee off, but also to pull up his scorecard, standings, and see a video flyover of the hole he’s on, all simultaneously. This app was very well received and their viewership went up over 12 percent from prior years and also won an Appy Award,” says Napoli. Utilizing agile development methods to help build the software quickly, OFS is developing the right code to help customers streamline and integrate their deployment and operations enabling shorter time-to-market. But for the team at OFS, DevOps is a means to an end. “The end goal is to help our customers to quickly build and deploy digital products that transform their business and beat their competition. We will continue to use the latest DevOps tools such as Puppet, Chef and Docker, to help automate the full life-cycle of development and deployment as possible,” says Napoli. Specializes in building and deploying digital products that drive revenue. Using the latest in social, mobile, analytics, and cloud computing, OFS builds software that engages the customer and transforms their business.